BEST OF BREED. 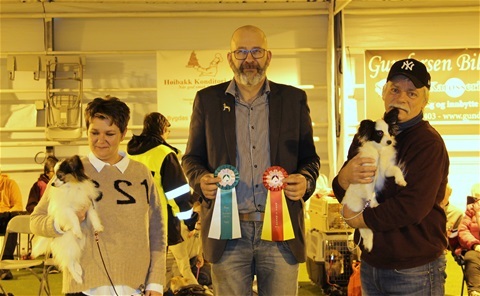 Topwinning papillon 2016/2017. C.I.B. NORD-CH. KBHV-17. Labellaci Unique Sensation "Dennis"
Purple Sensation Irina and Jessica got 1 and 2 place. Back in the ring again after a long time was Tara. 2 Best Female NO UCH Sky Butterfly Carolyn Show Drem. 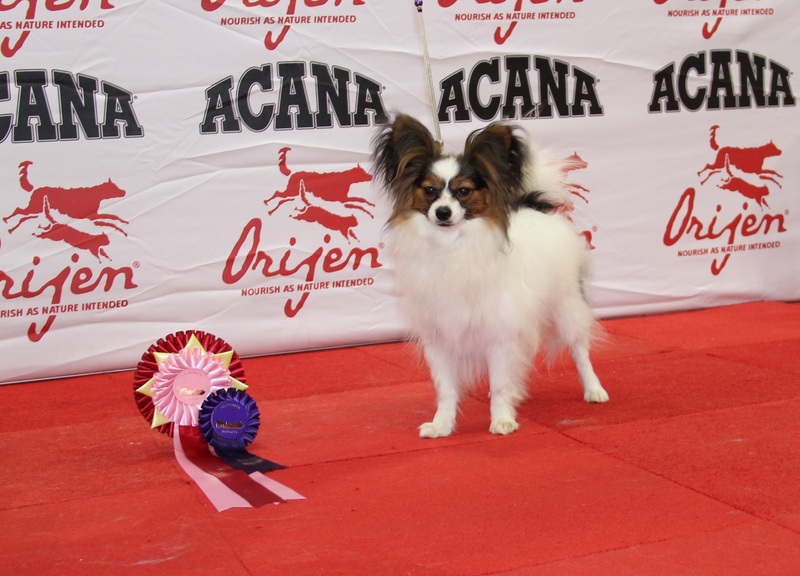 It was Very Good at Dolly when the judge thought she was a bit to fat. 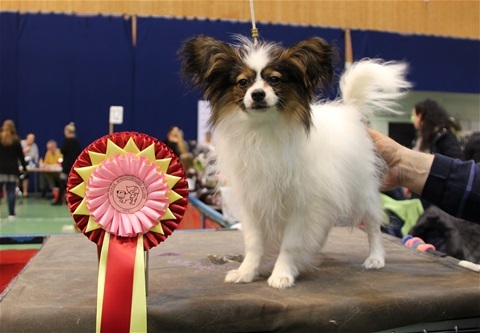 Ch-Candidate Candygolds Black Biscuit. 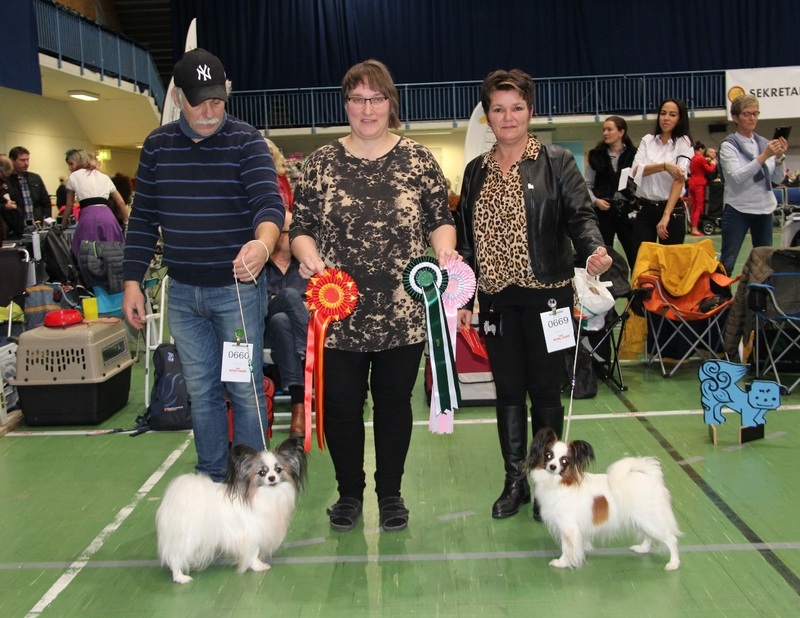 Puppyshow in Hadeland Dog Club. 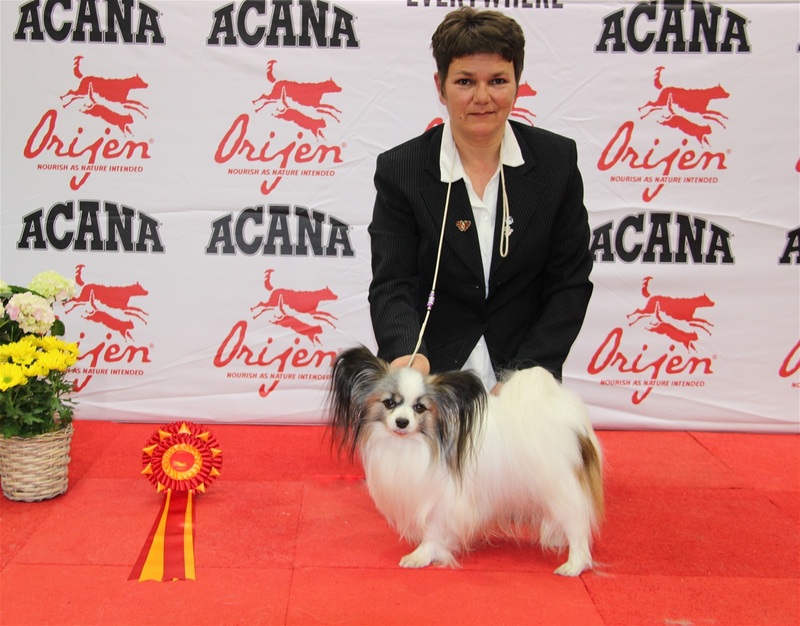 Judge: Steinar Balken. 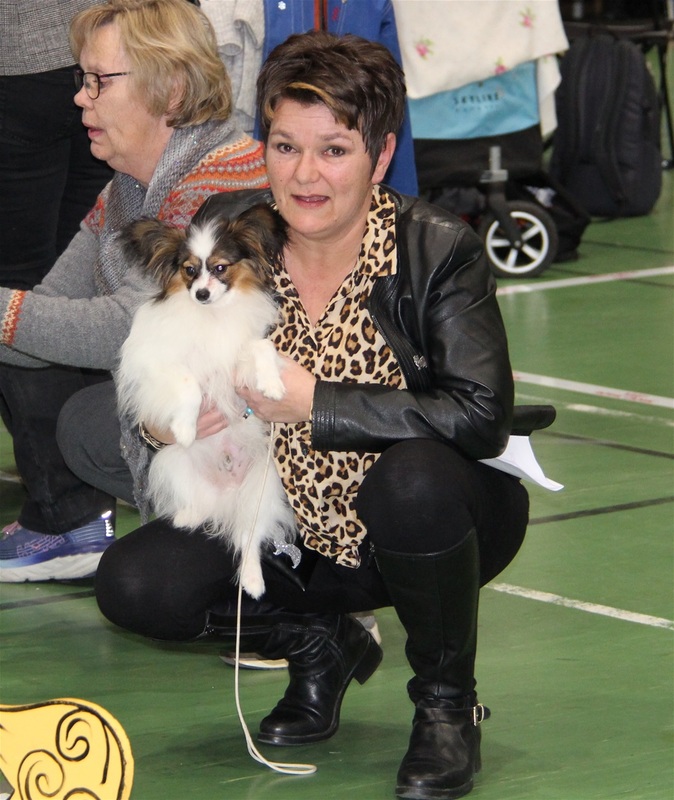 Puppy class. BOB and Heder Prize. Purple Sensation Irina. BOS. NJV-18. NO SE Ch Candidate. 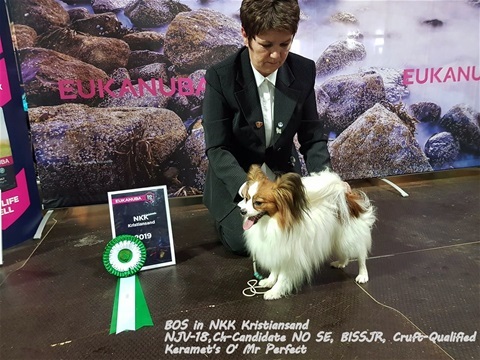 BISSJR. 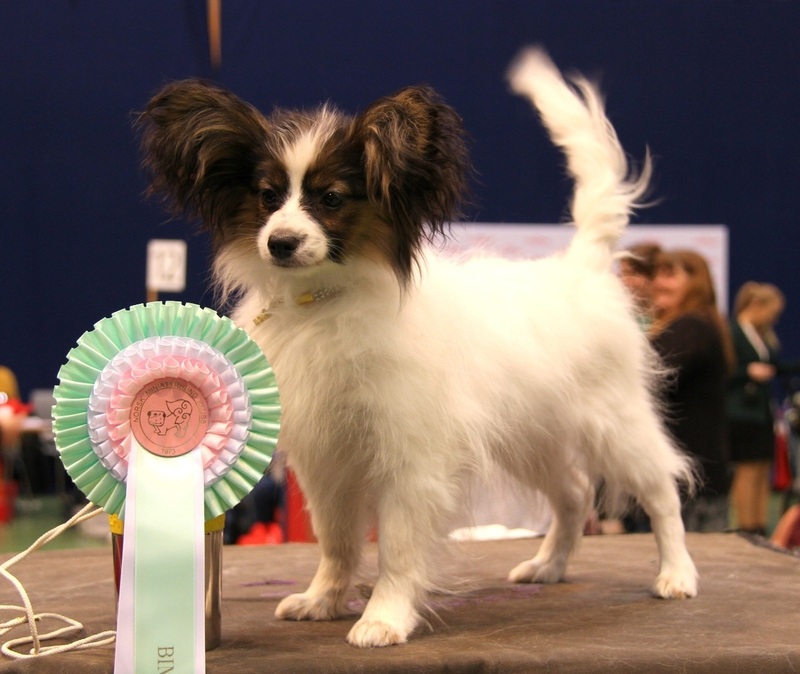 Cruft qualified. Keramet's O Mr Perfect. Topwinning papillon 2016/2017. C.I.B. NORD CH. KBHV 16. CLUBJR CH. Labellaci Unique Sensation. Excellent. 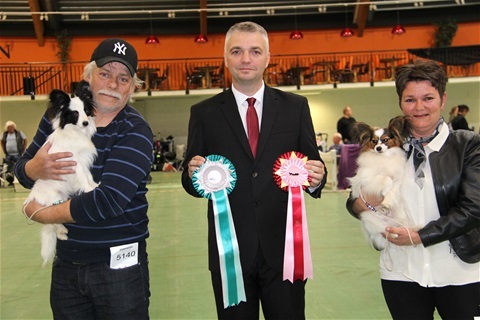 BOB.😁Topwinning papillon 2016/2017. C.I.B. NORD-CH. KBHV-17. CLUBJR-CH. Labellaci Unique Sensation. 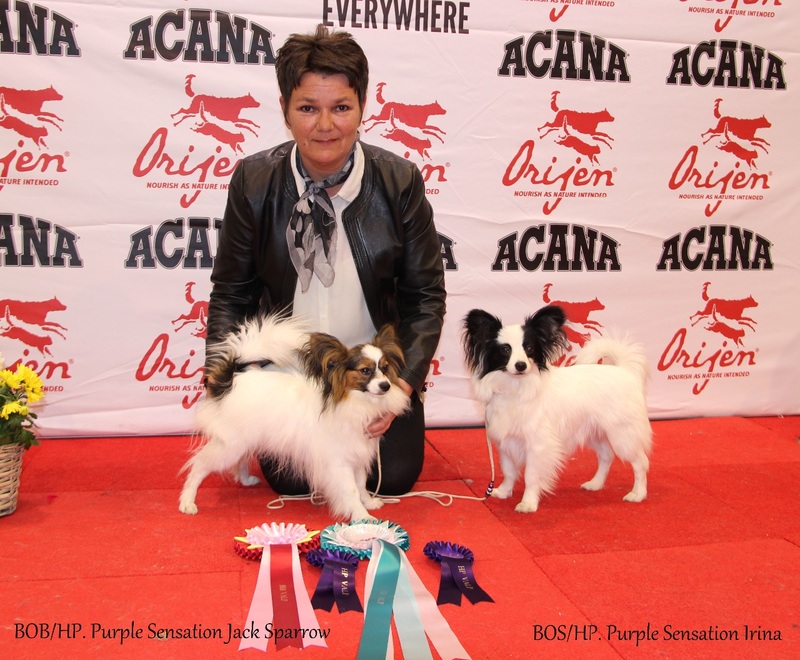 BOS and JR-BOB / CAC😁 Topwinning puppy 2018. Candygolds Black Biscuit only 10 mondts old. 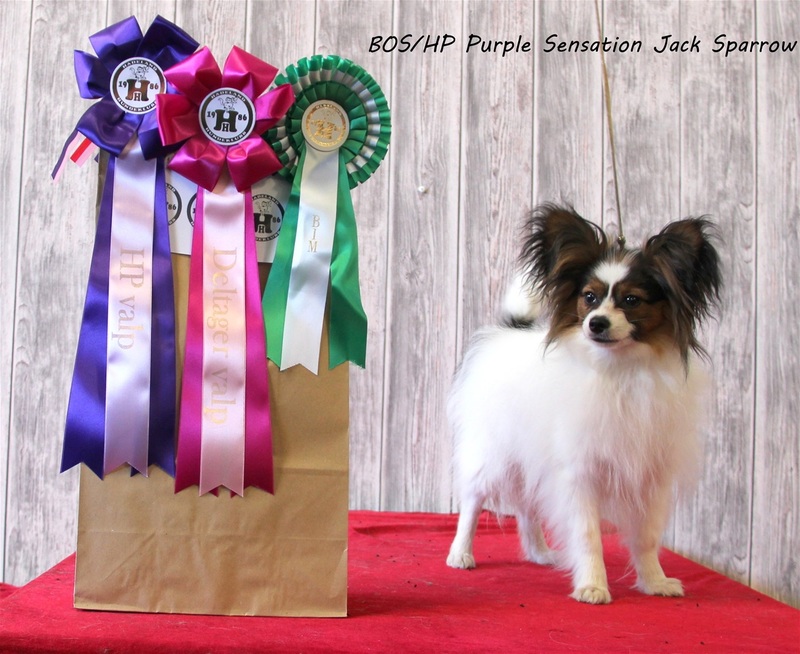 BOS puppy and Honor's Price 😁Purple Sensation Irina. 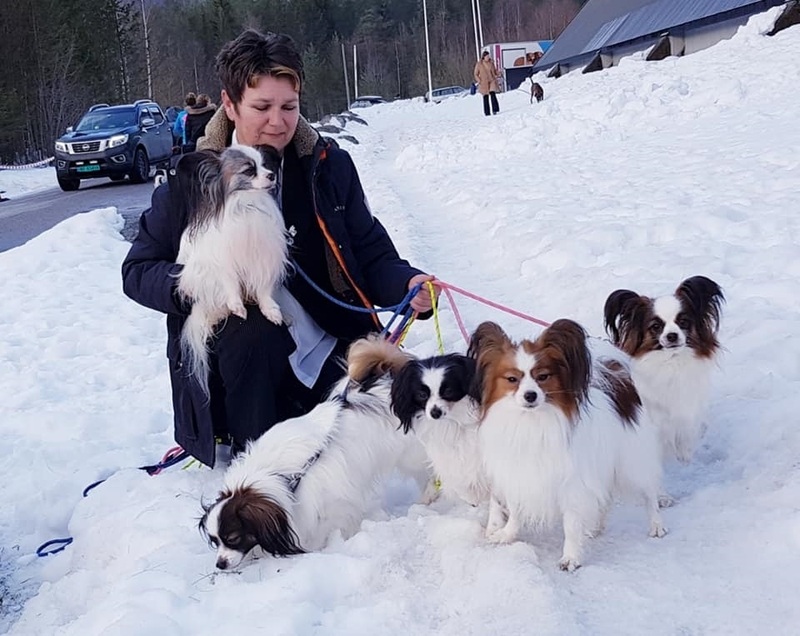 Norwegian Kennel Club. Judge: Leif Lehmann Jørgensen. BEST OF BREED. NORDIC CAC. Topwinning Papillon 2016/2017. C.I.B. NORD-CH. KBHV-17. CLUBJR-CH. 2 Best Male. 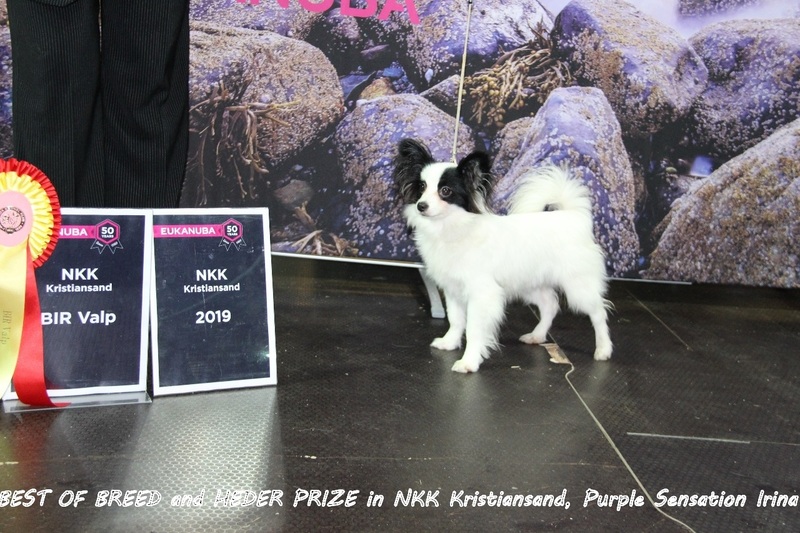 Topwinning male 2018. 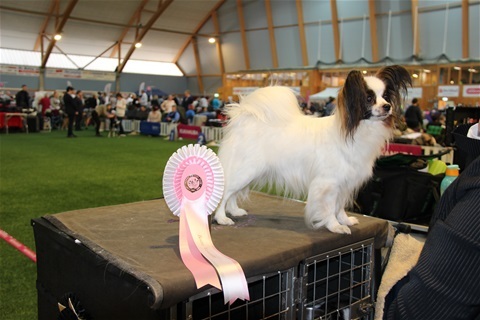 NORD-CH Fluffy Bunny Feet's Tor "Totto"
Sunday 10.02-19 we have been to a puppy show in Drammen. 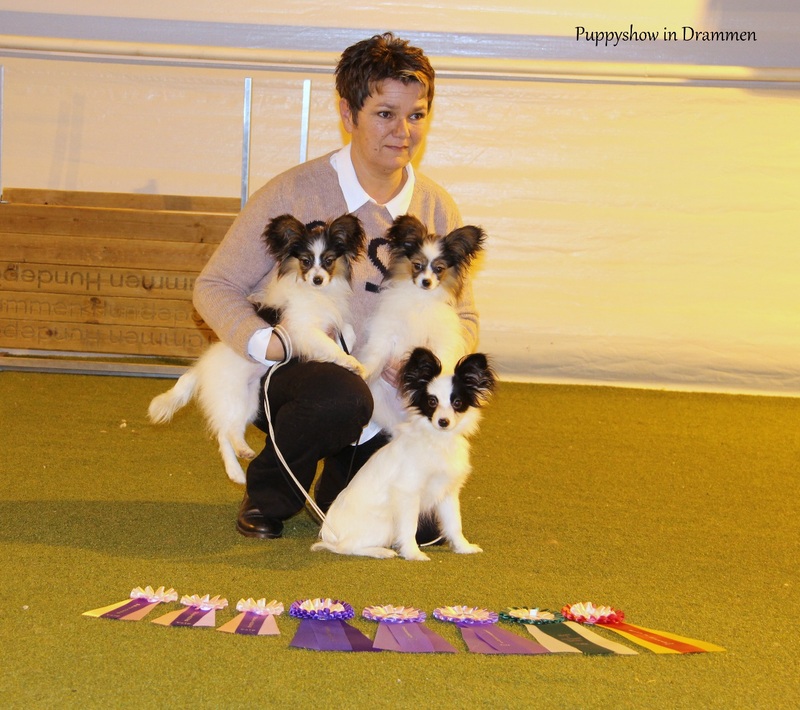 We showed 3 puppies, Irina 5.5 months, Jessica and Jack Sparrow 4 months today. 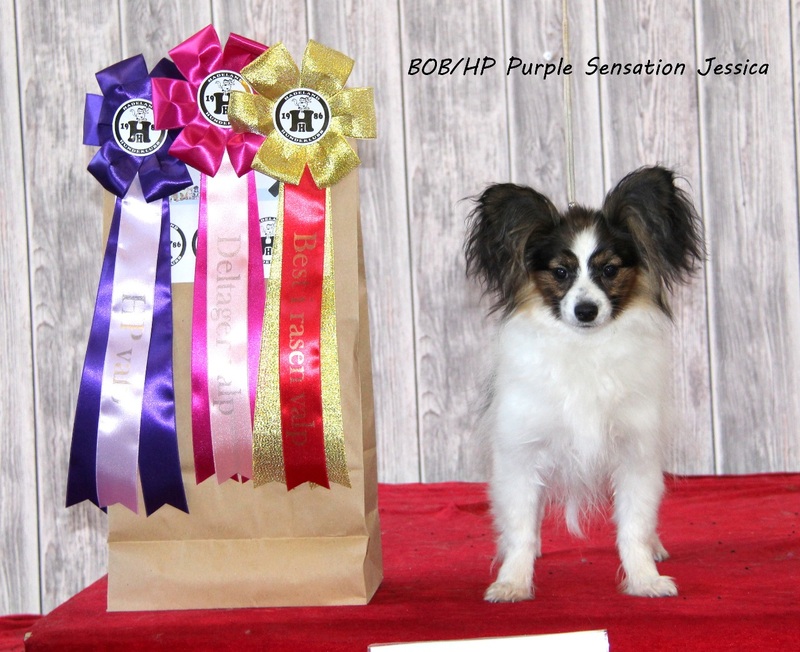 BOB / HP Purple Sensation Irina. 2 Best Female / HP . Purple Sensation Jessica.